The LG G Flex 2 is one of those interesting devices from LG. As it does have a curved display, with the self-healing back. But how does it fair when getting dropped? How about getting run over by a 10-ton roller? In the drop test, you can see that it did get scratched up pretty bad on the chin of the phone. But then again it was dropped on concrete, so you’d kinda expect that. Overall, it didn’t suffer to much damage. Next they dropped it on the back, naturally the back cover popped off, but still not a whole lot of damage done to the back of the device. Even though there is the self-healing back, it didn’t quite heal all the way. As we all know that self-healing back isn’t perfect, and likely won’t be for a few more years. Next up is placing the LG G Flex 2 face up for the 10 ton roller to roll over it. Did the smartphone survive? As expected, the screen is completely shattered, and virtually unusable. Not your average drop test, we can’t say we’ve ever seen someone roll over a phone with a 10 ton roller before, but it was pretty cool. You can watch the full drop test in the video at the bottom of this post. LG announced the G Flex 2 back in January at CES, and it actually had a few surprises for us. LG decided to decrease the screen to just 5.5-inches but raise the resolution to 1920×1080 from 1280×720 on the original. They also improved the self-healing back, but it does still have its limits. Supposedly it can self-heal scratches and such a bit faster than the original device could. The LG G Flex 2 was also the first device to be available with the Qualcomm Snapdragon 810. It also has 2GB of RAM and 32GB of storage – there’s also a 3GB of RAM model available out there. It’s a curved device, but not too curved, however some still may not like the curve. But it is a pretty tough smartphone, just watch the drop test down below. 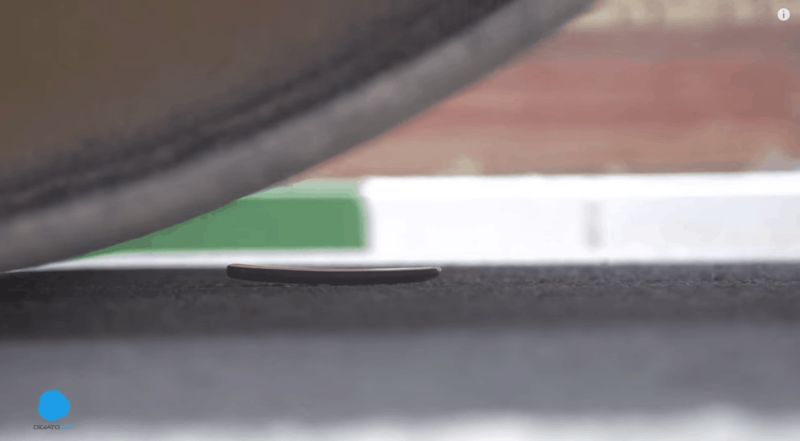 The post LG G Flex 2 Gets Run over by 10-Ton Roller appeared first on AndroidHeadlines.com |.